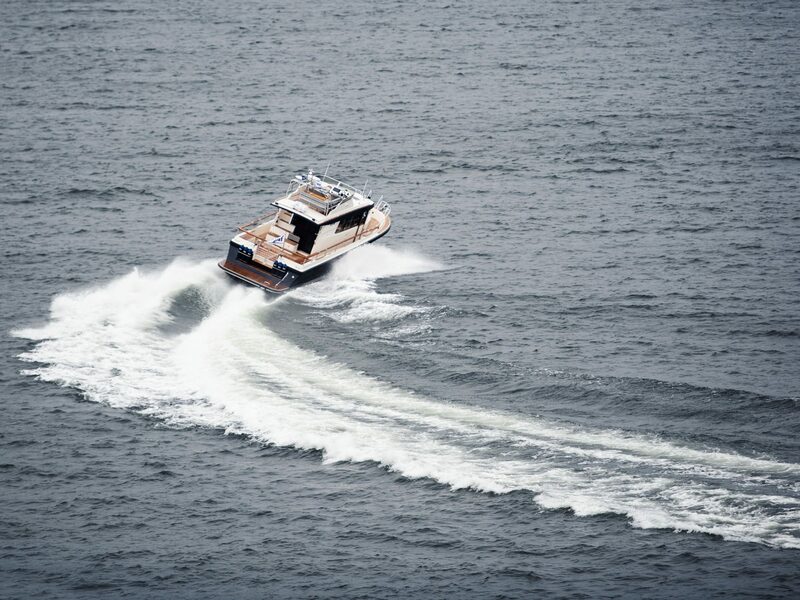 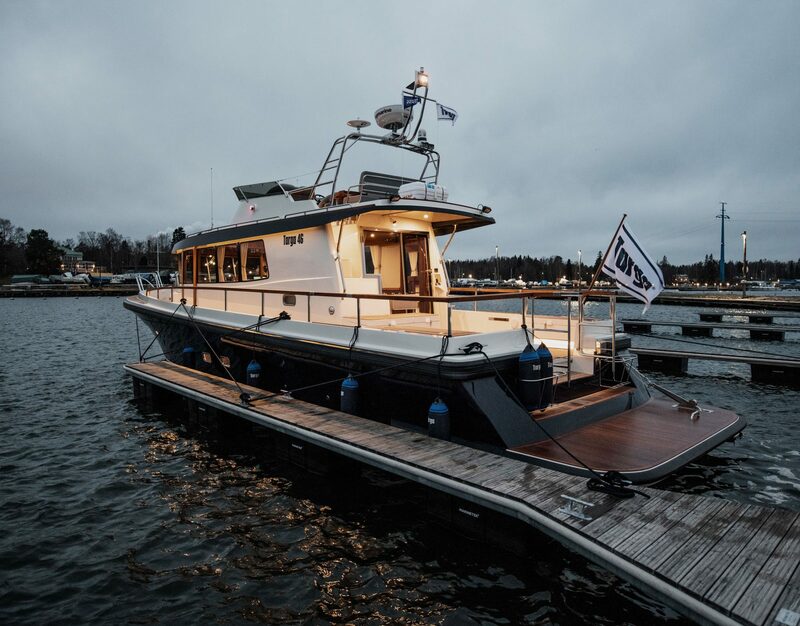 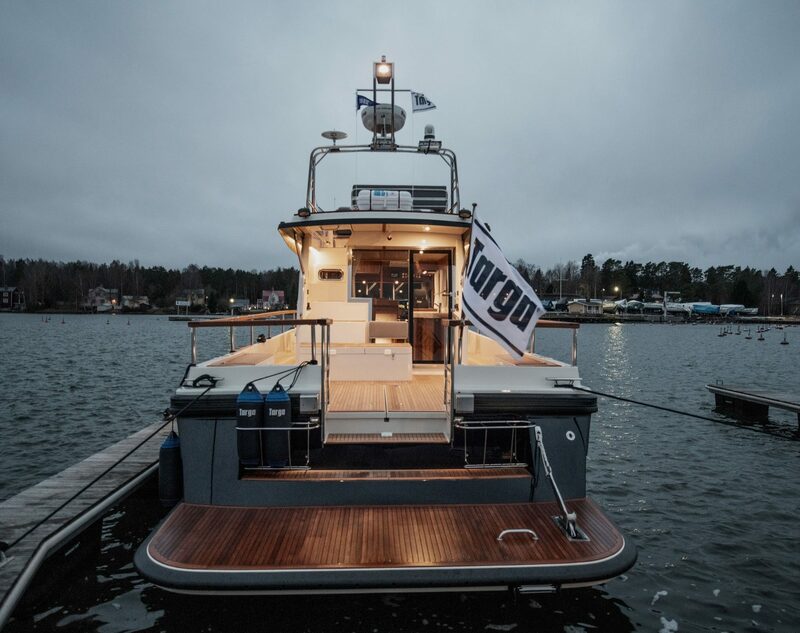 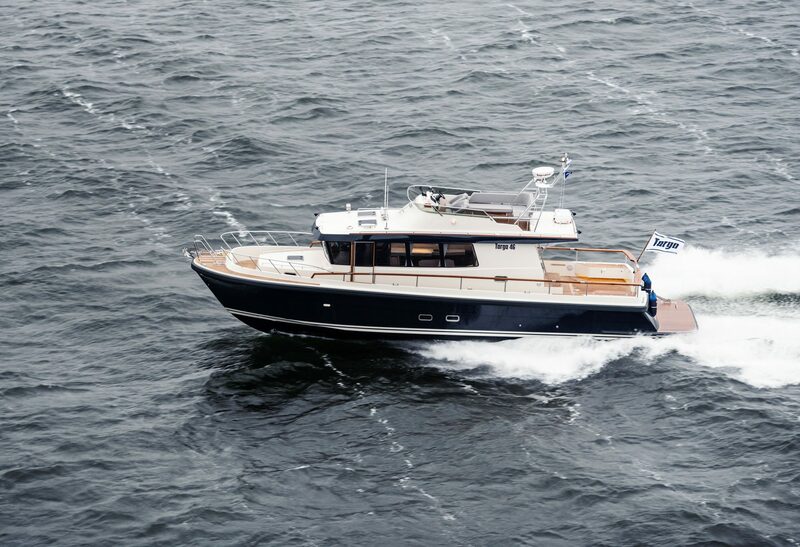 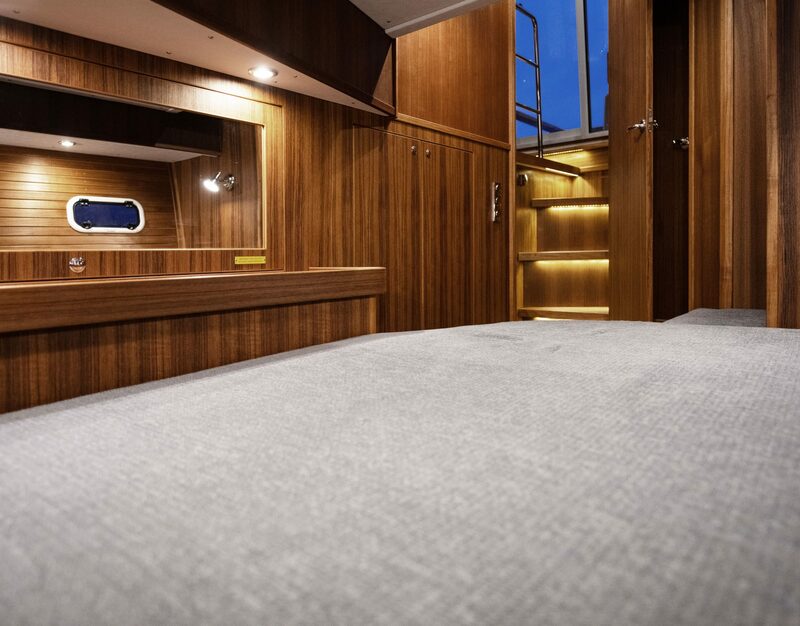 The biggest and most powerful Targa to date – the T46 is the pinnacle of offshore motorboating and a lasting tribute to boatmaking excellence, with each and every detail speaking to the heart of true seafarers, young and old. 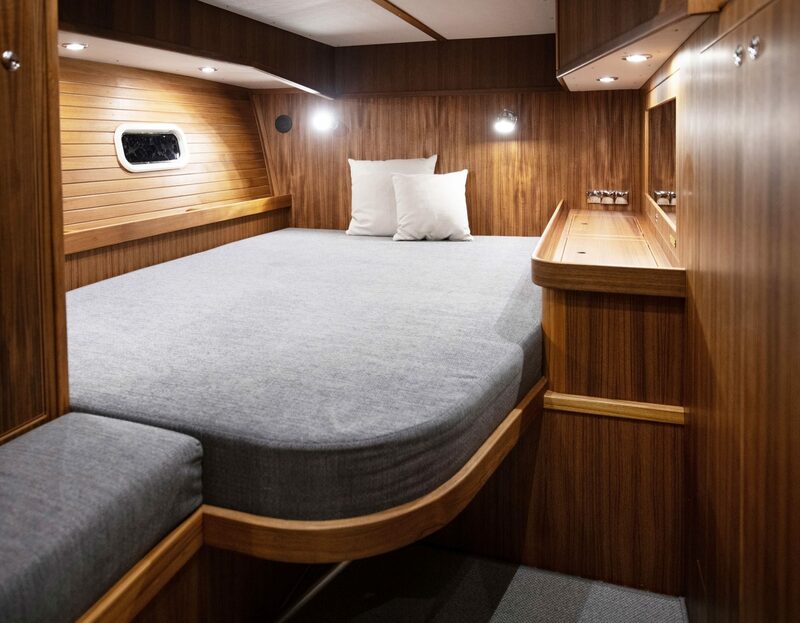 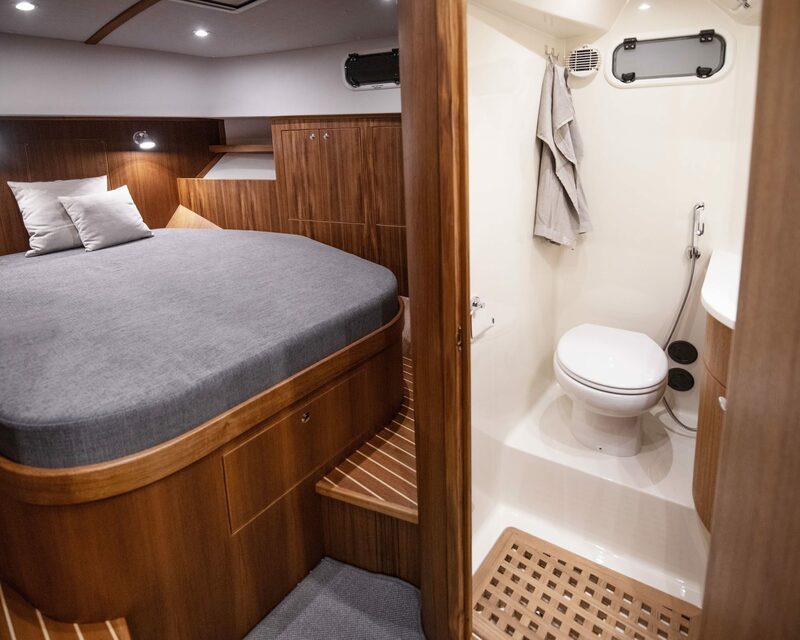 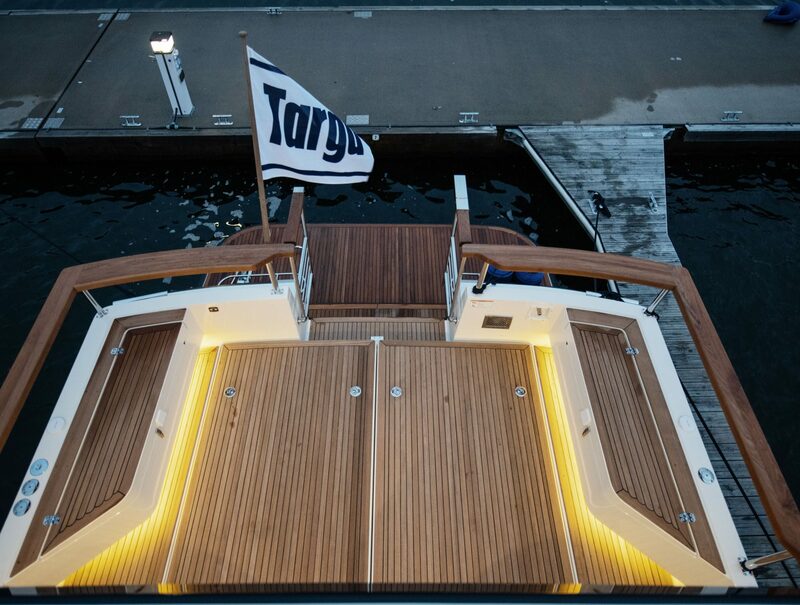 Launched in 2017, the Targa 46 continues the celebrated journey of the Targa 42 and 44. 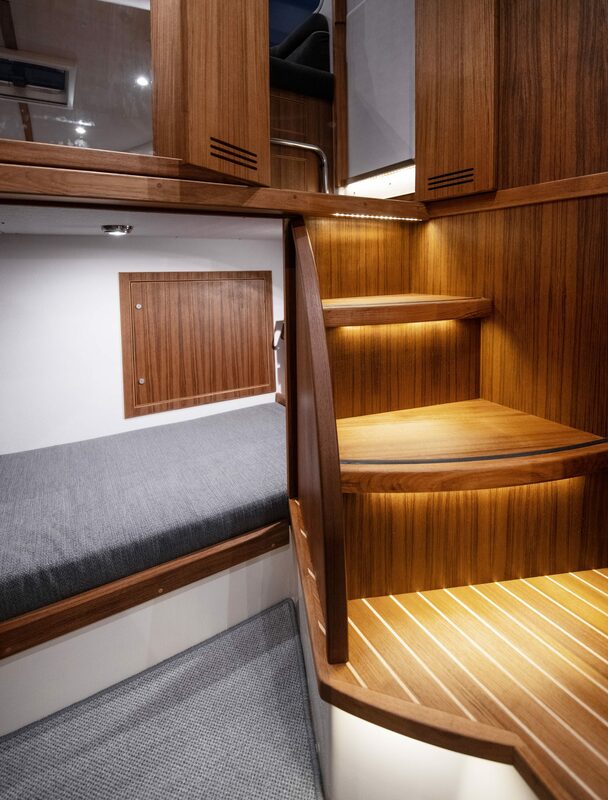 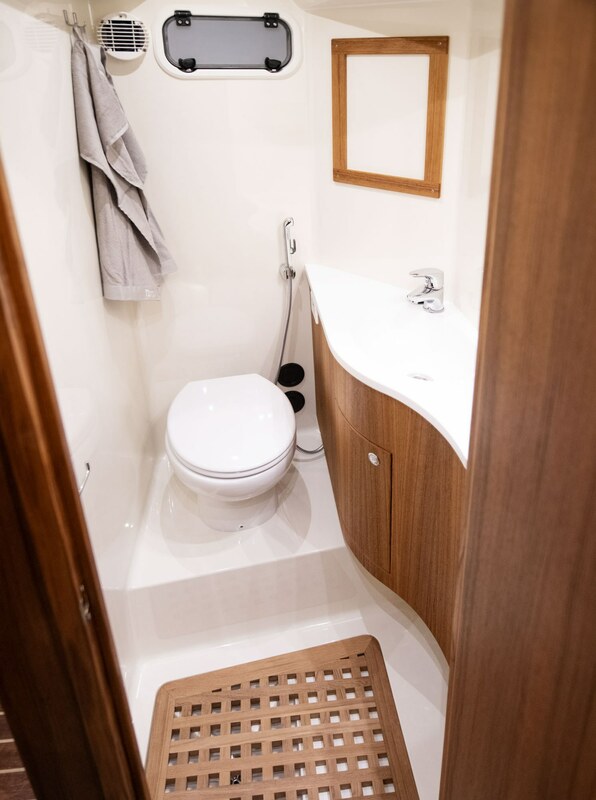 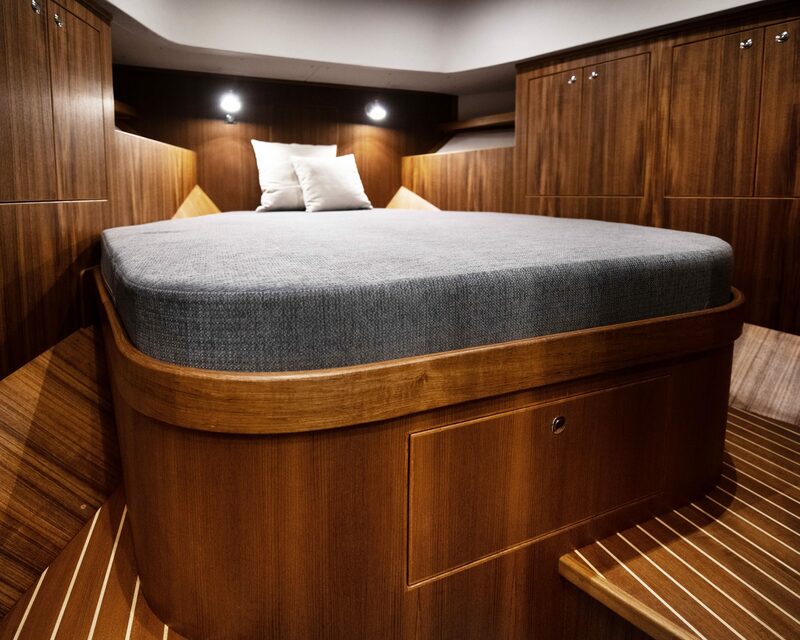 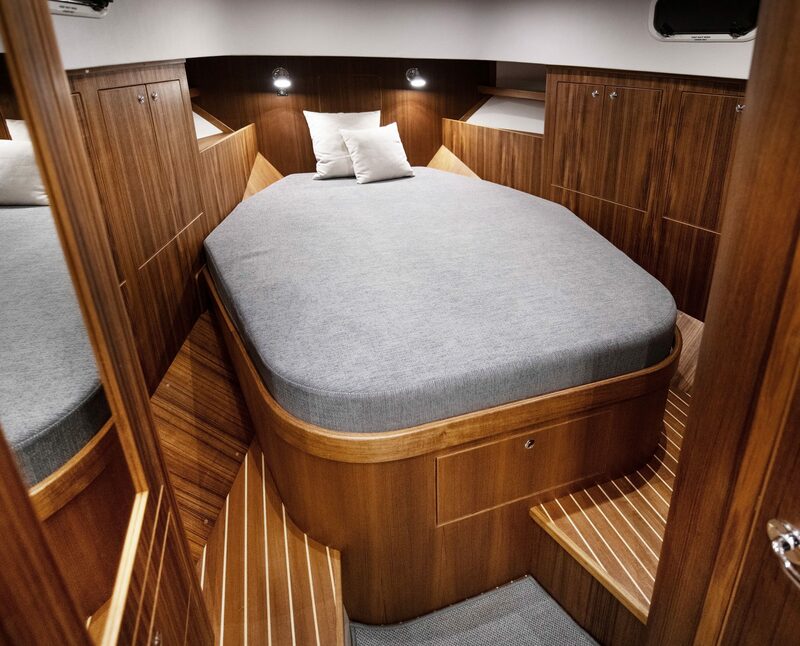 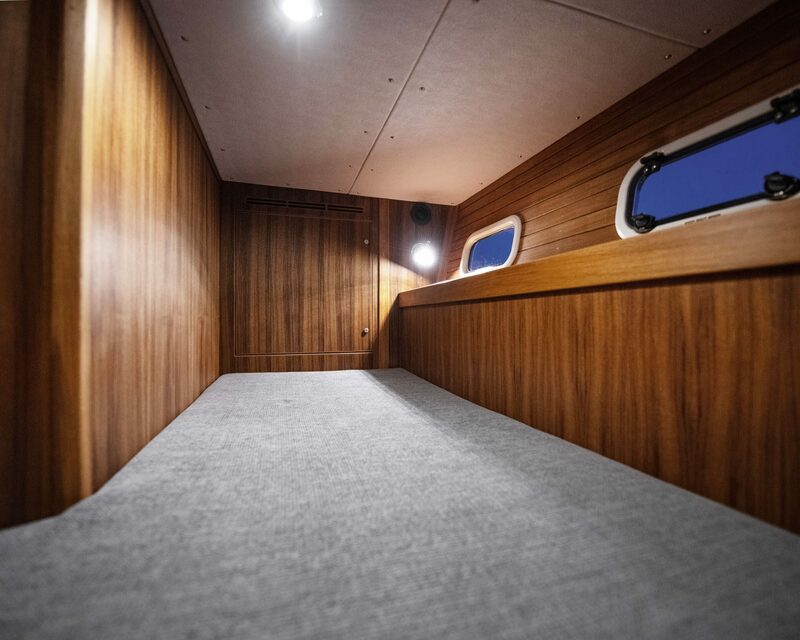 Not only is the T46 bigger than its sister boats, it also features a higher deck that takes lower-deck comfort to a new height. 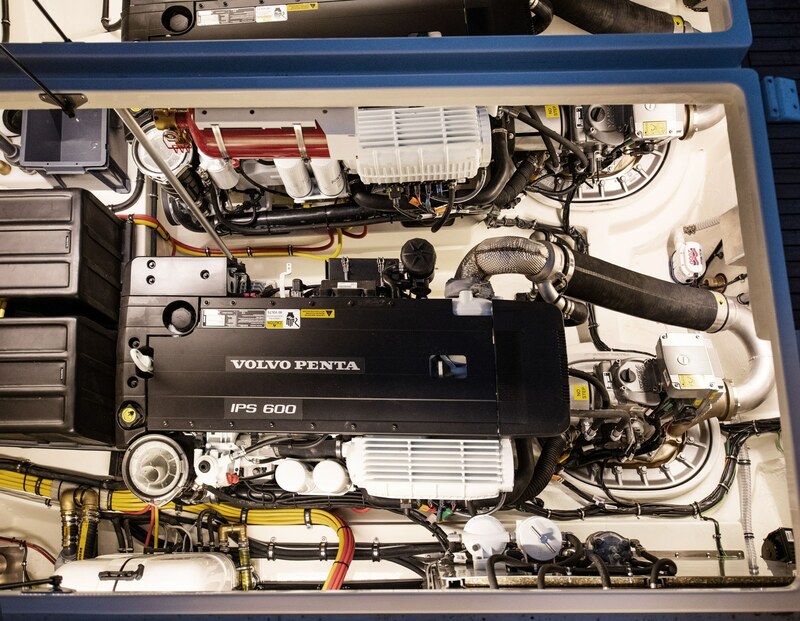 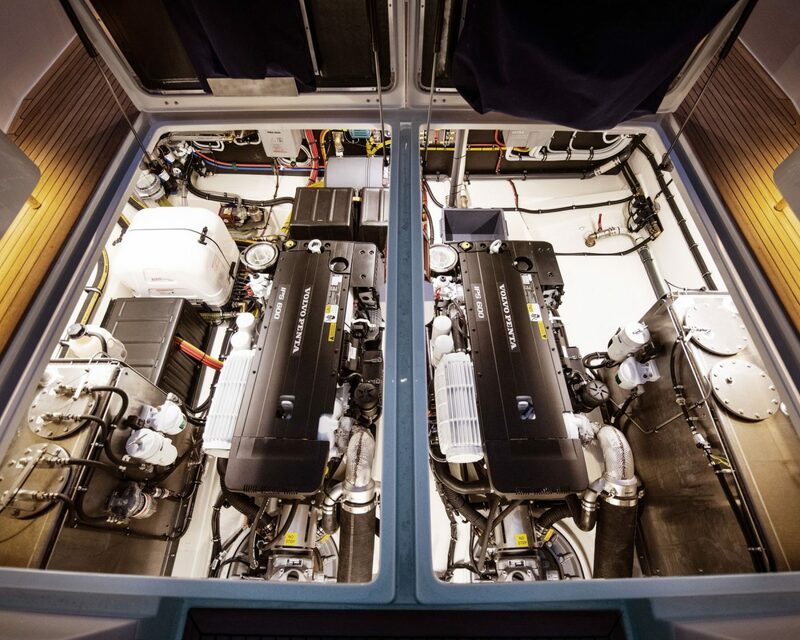 Thanks to a larger engine room, the 46 can even be equipped with twin Volvo Penta D8-IPS800s for breath-taking performance. 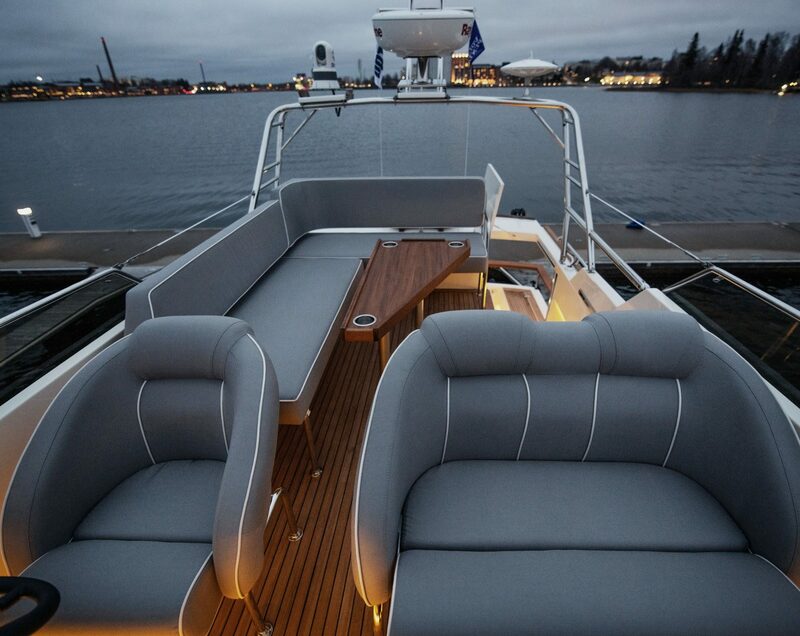 The flybridge seats seven persons comfortably and elevates your boating experience to a new level. 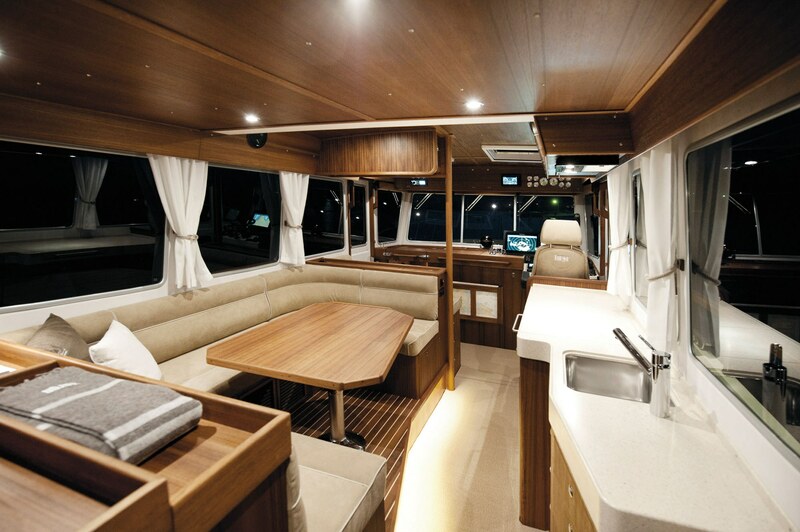 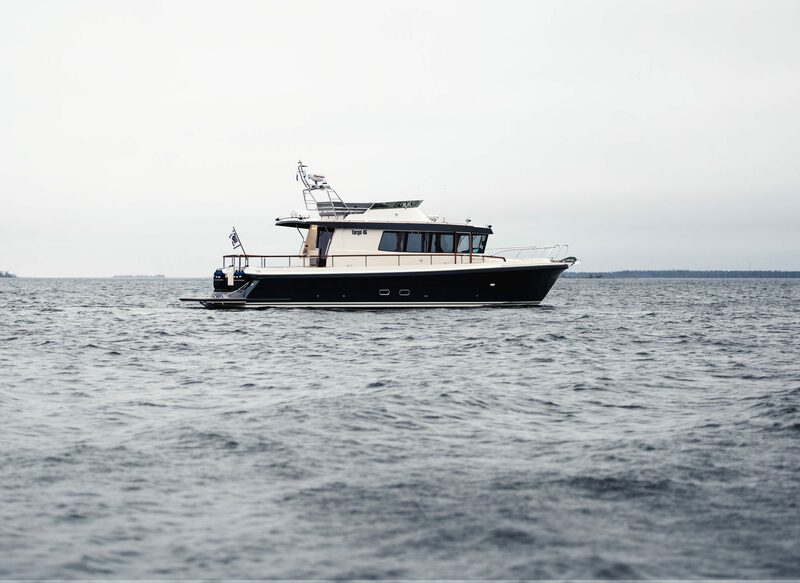 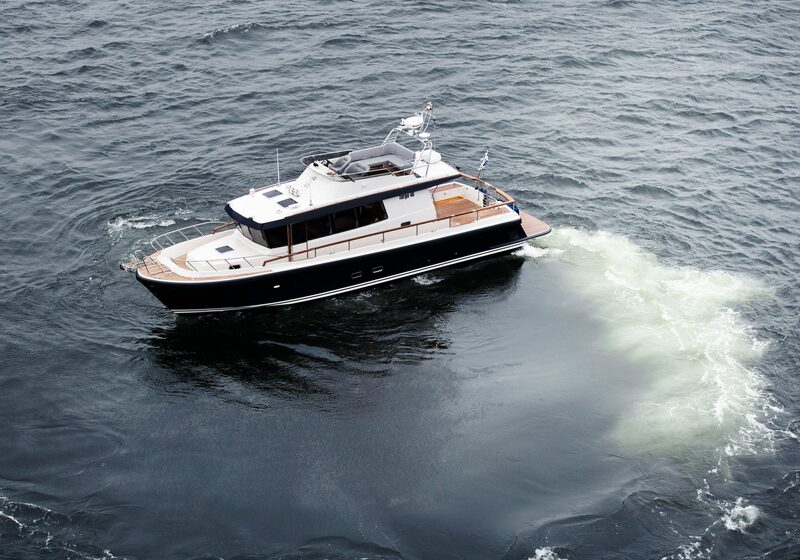 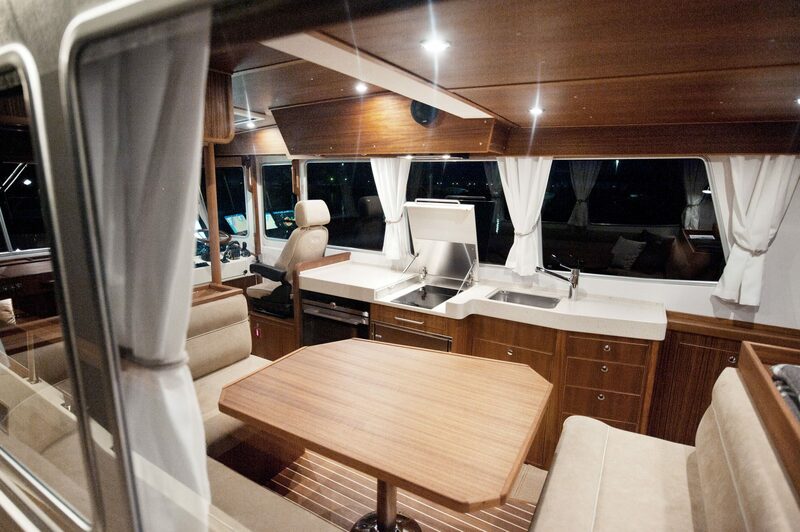 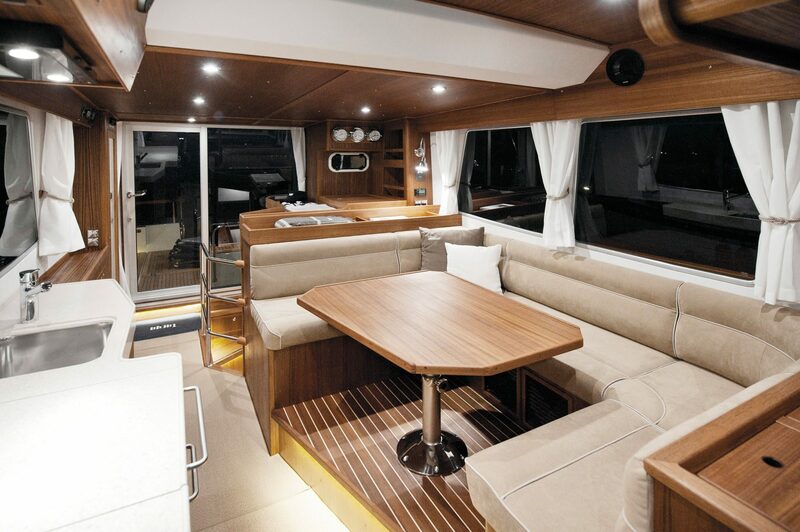 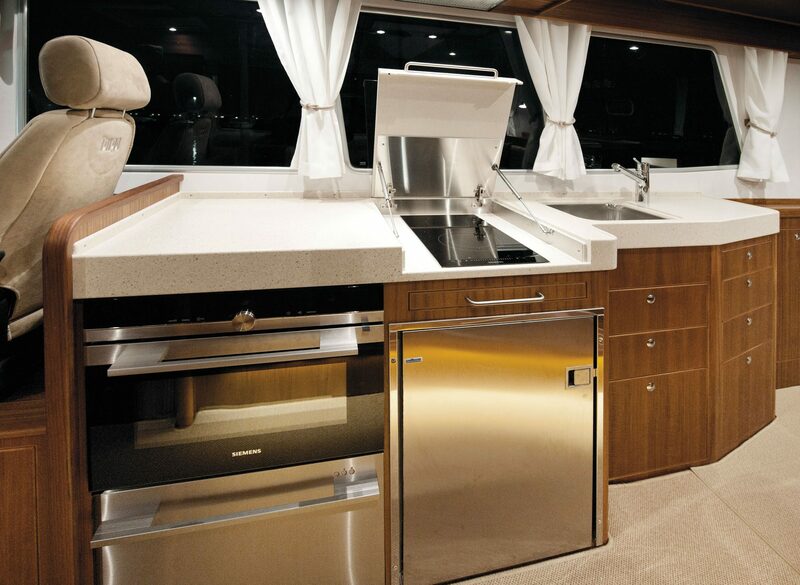 The flybridge can be equipped with an extra foldable wind shield or a Bimini top for hot climates. 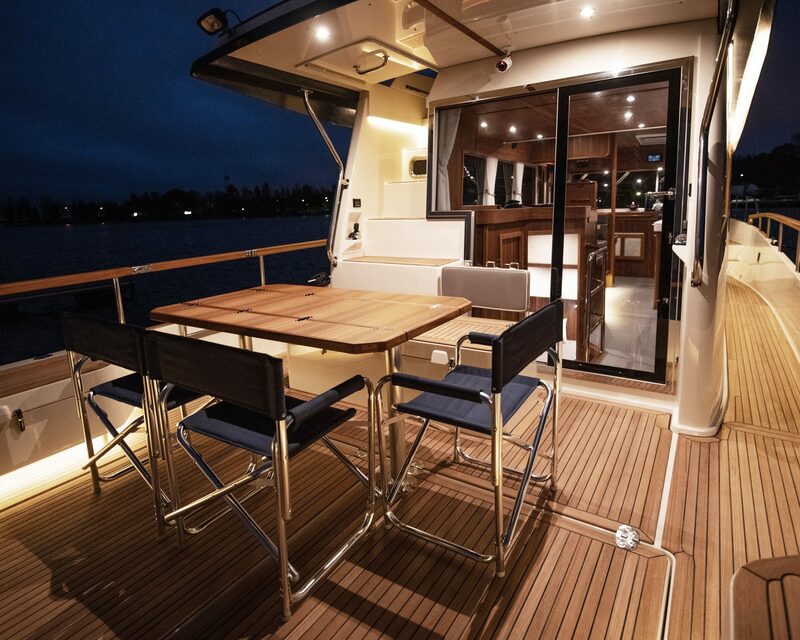 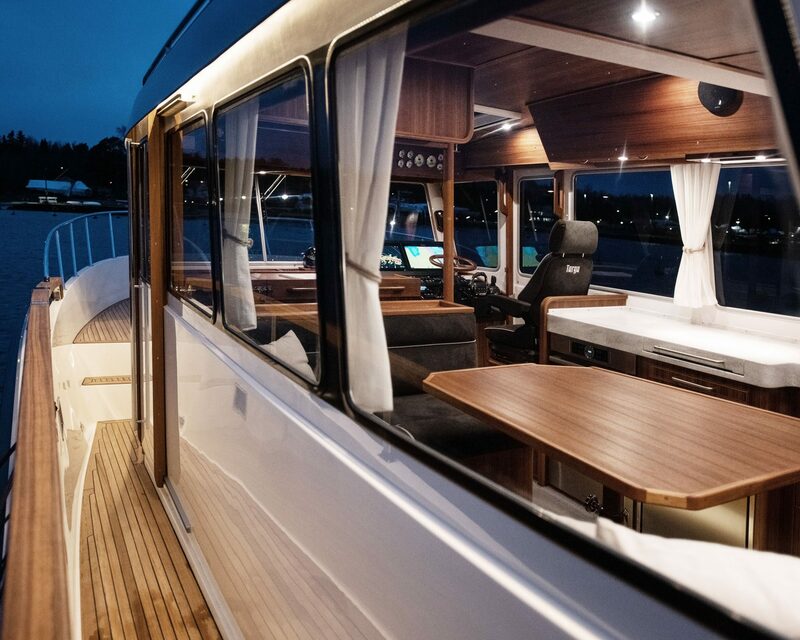 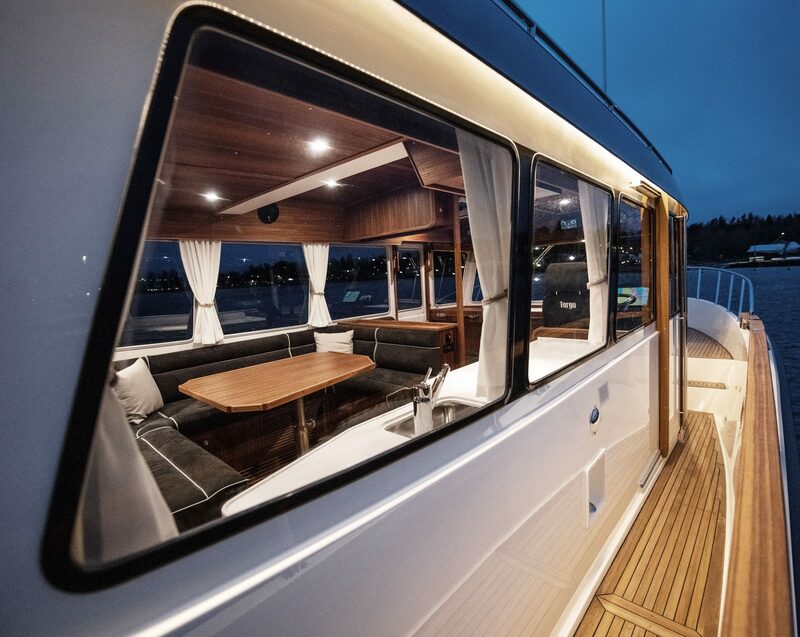 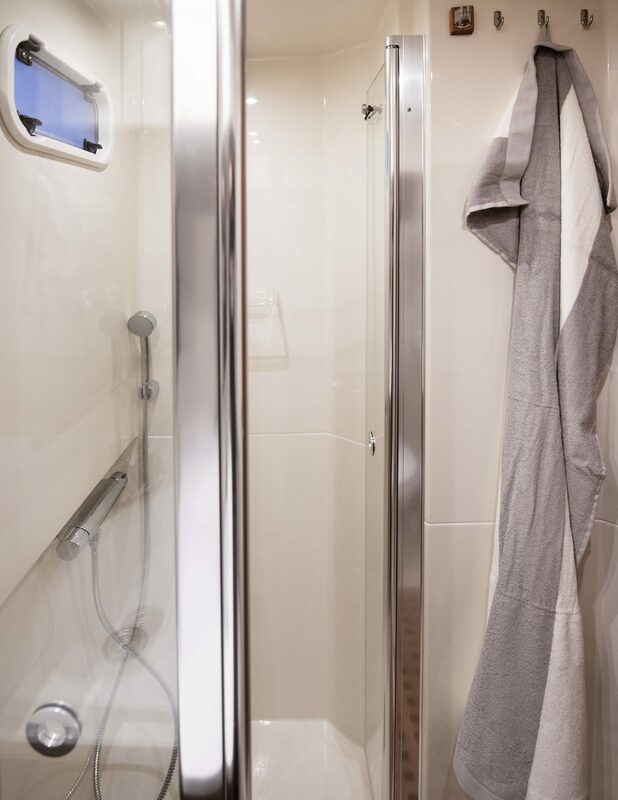 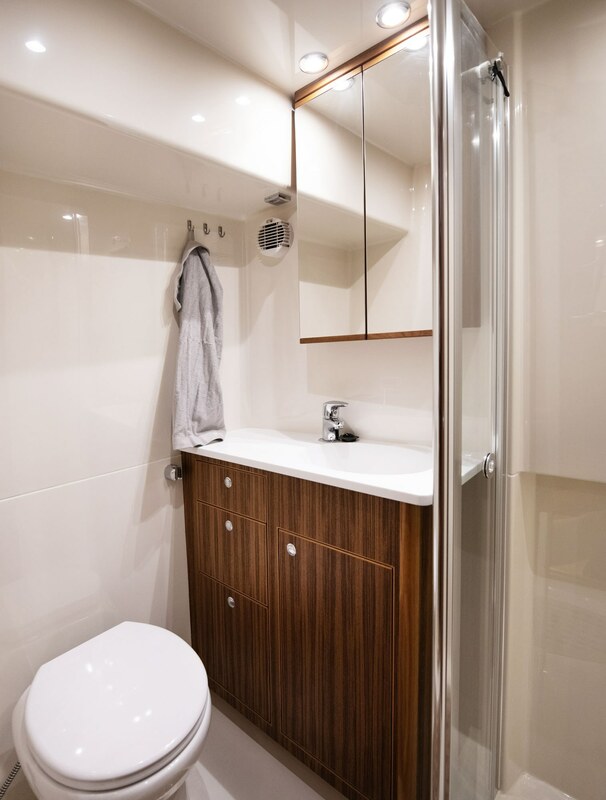 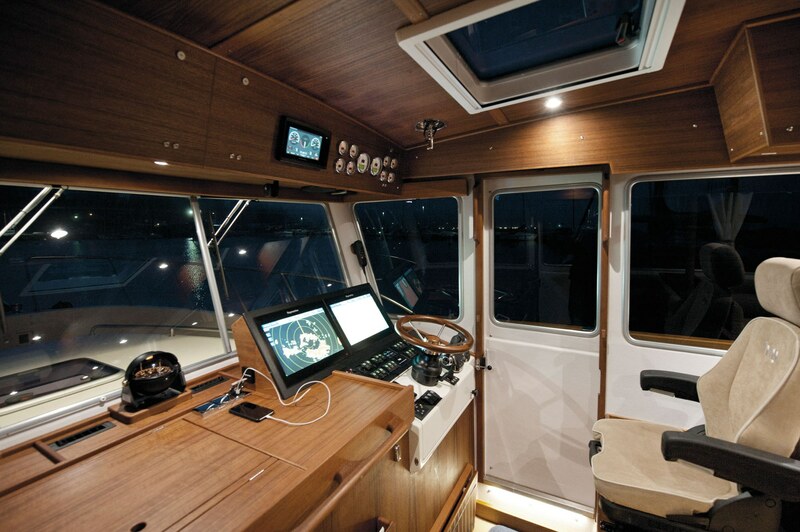 Manual glass sliding door made from tempered glass enables convenient access to the aft deck. 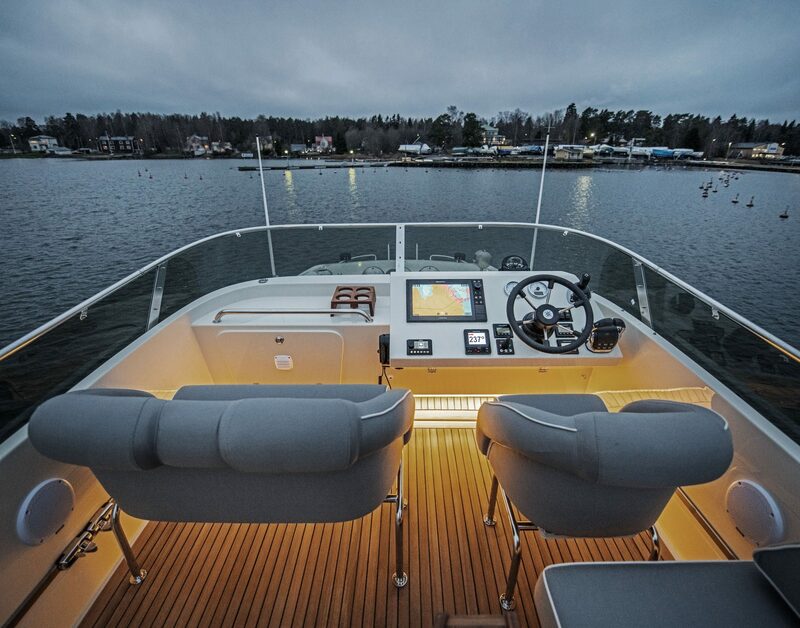 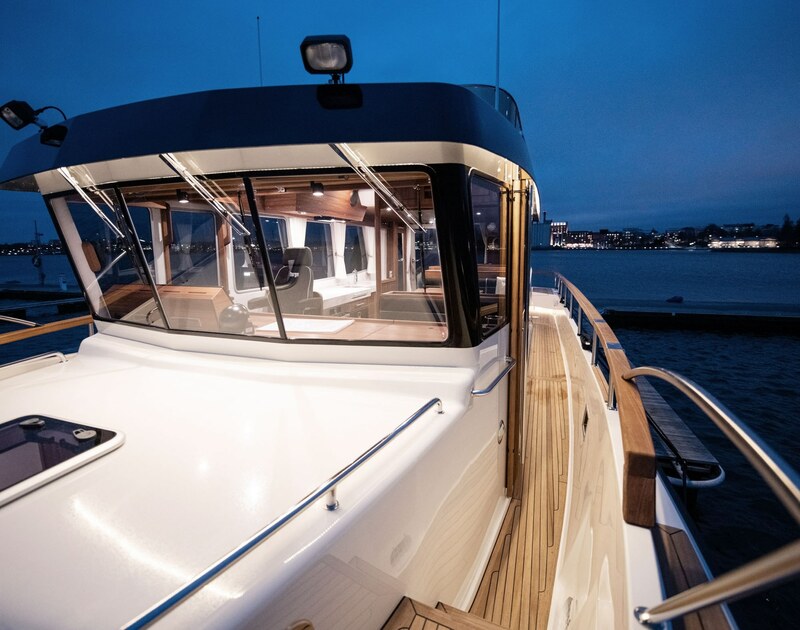 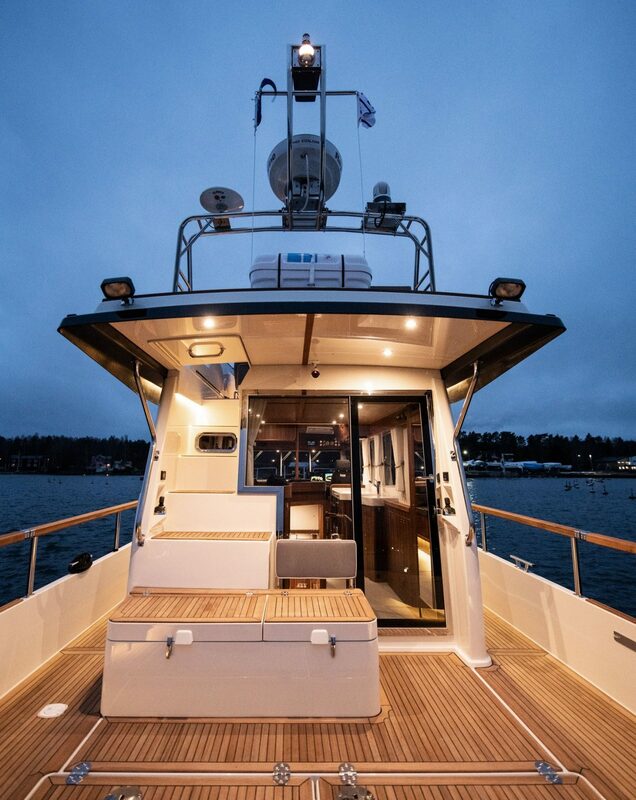 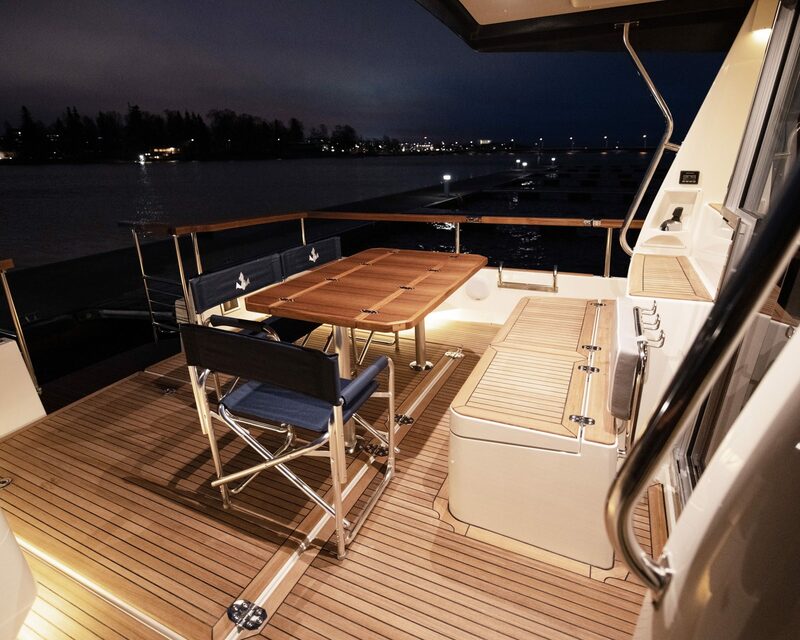 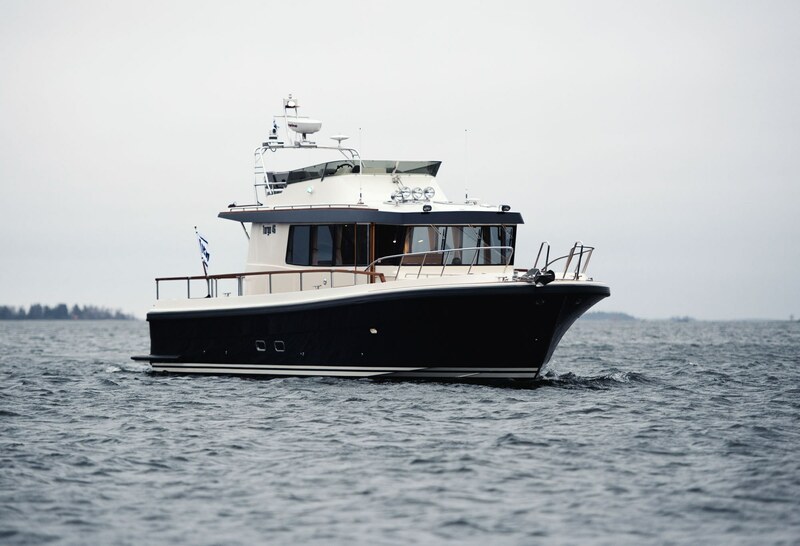 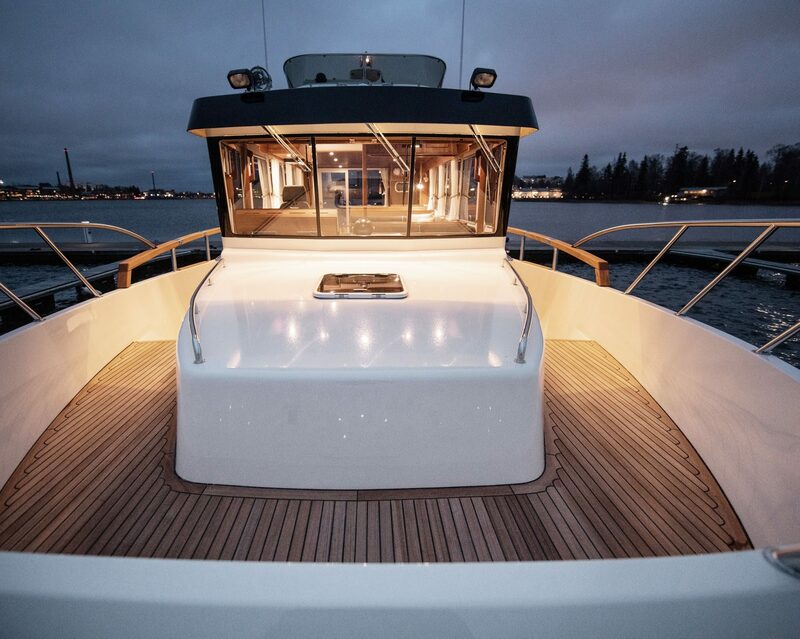 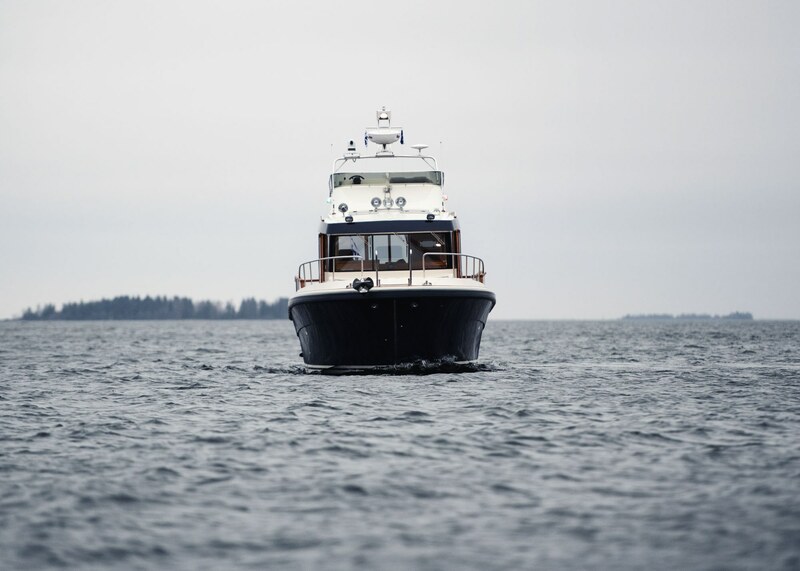 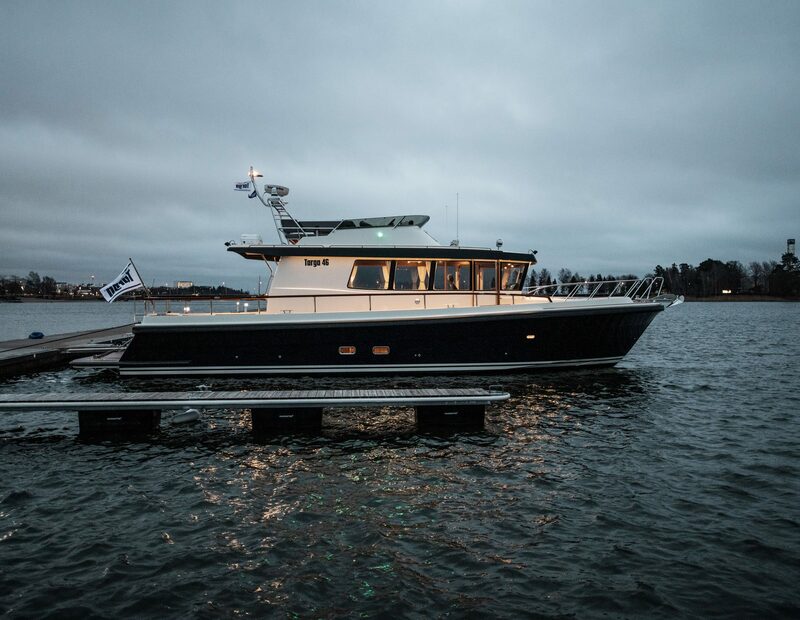 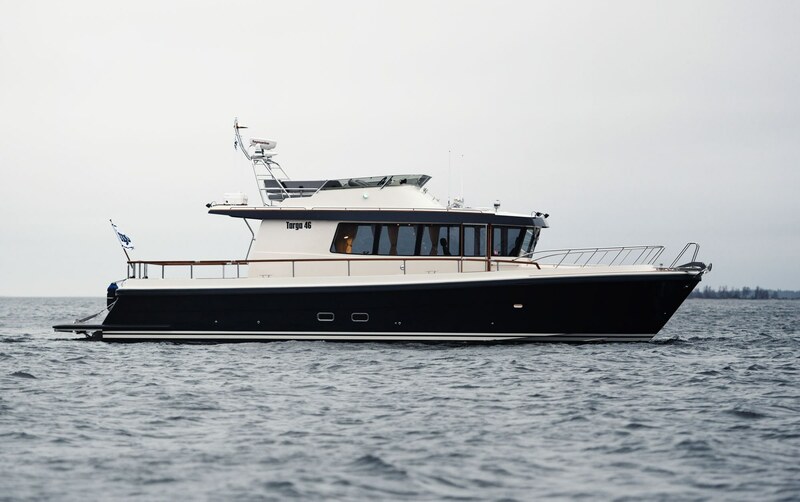 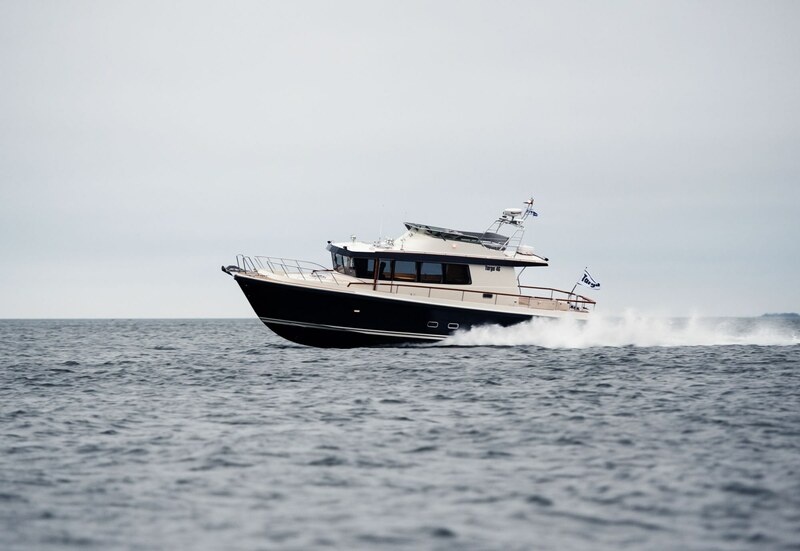 The AD also makes the pilothouse feel even brighter and more spacious. 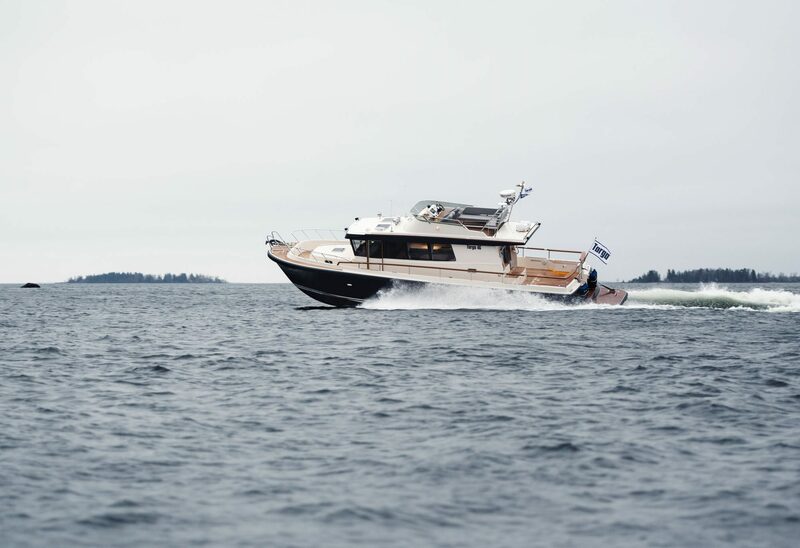 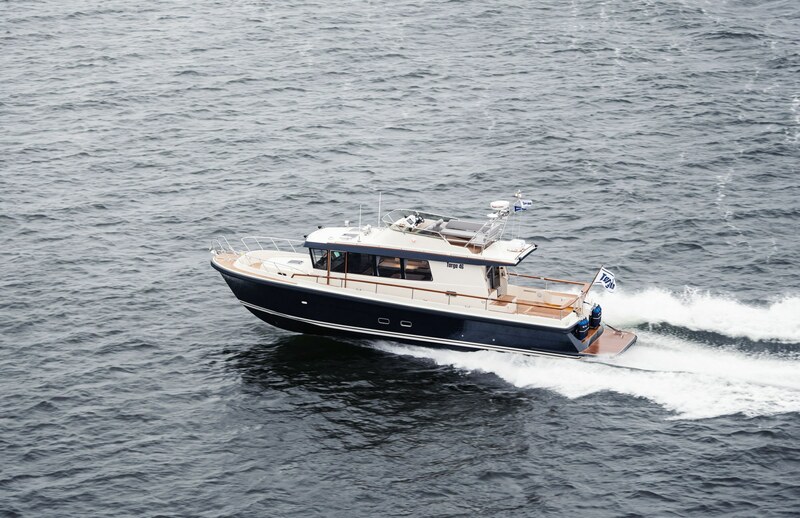 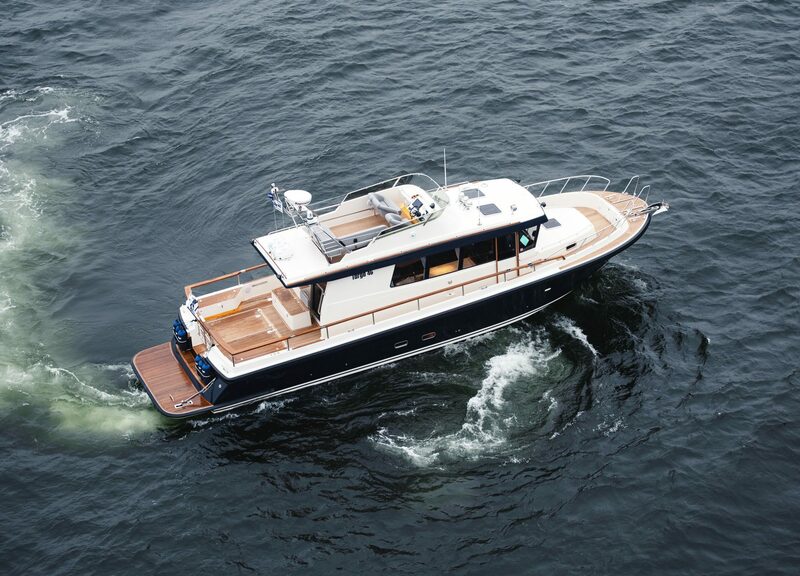 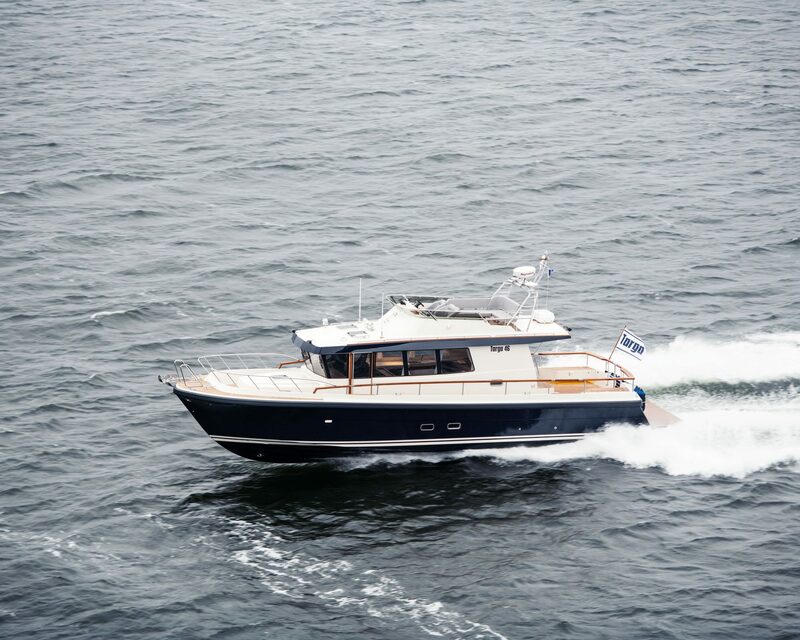 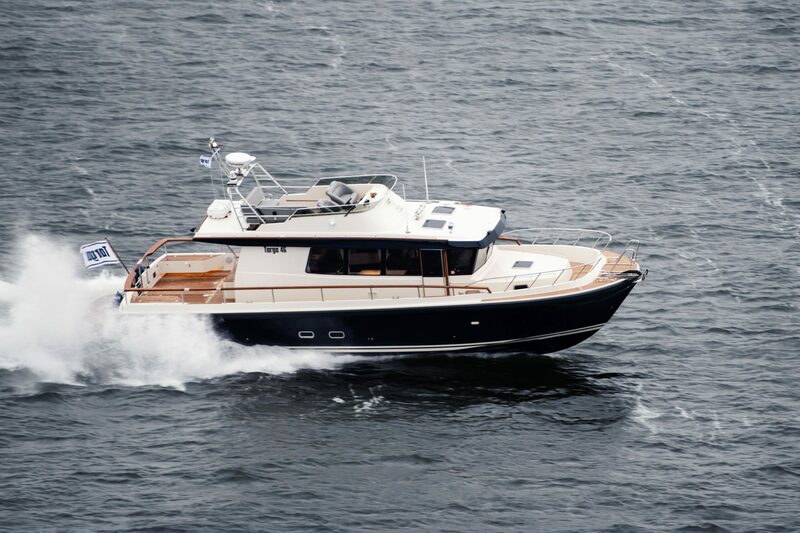 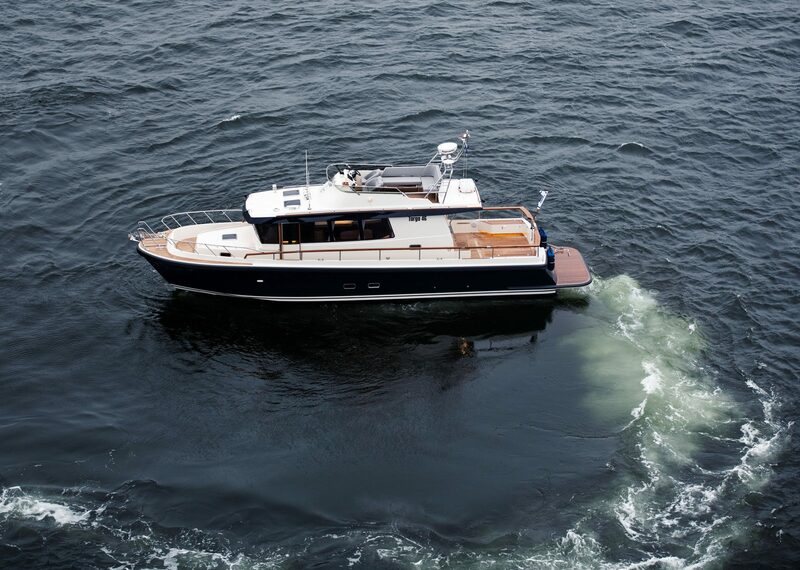 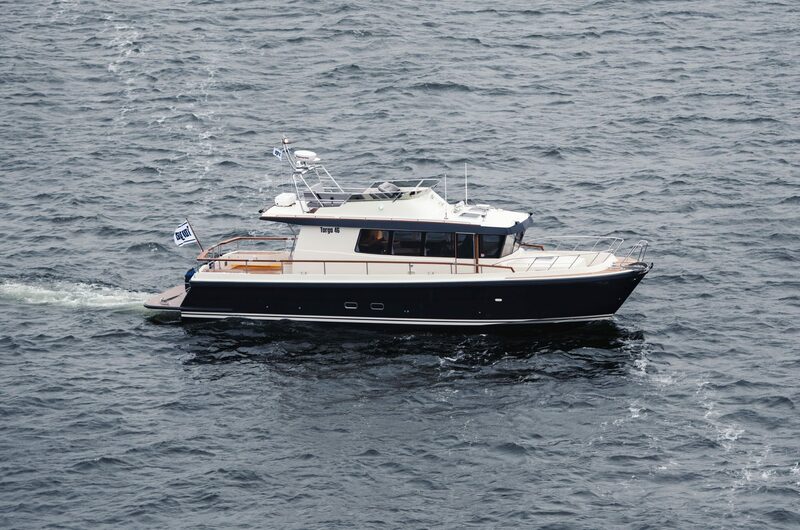 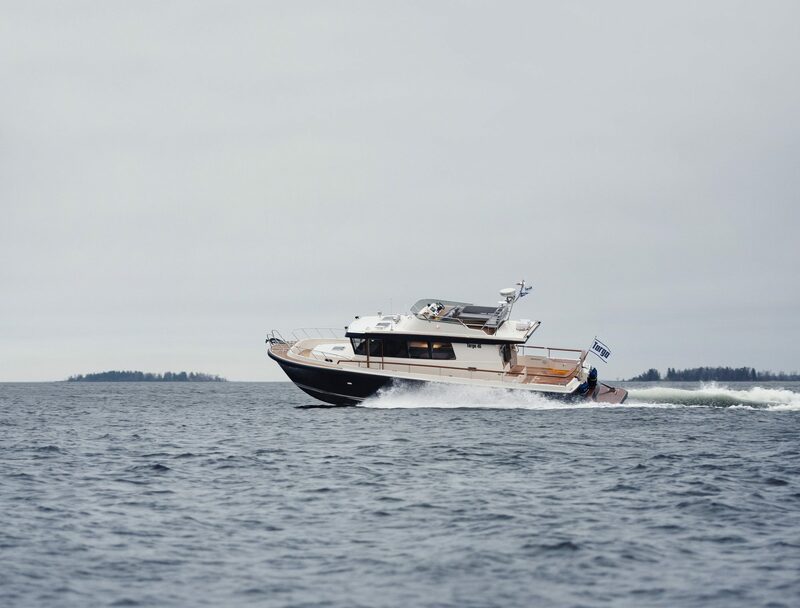 The 46 is powered by Volvo Penta sterndrives or IPS, with engine powers from twin 400 HP up to twin 600 HP. 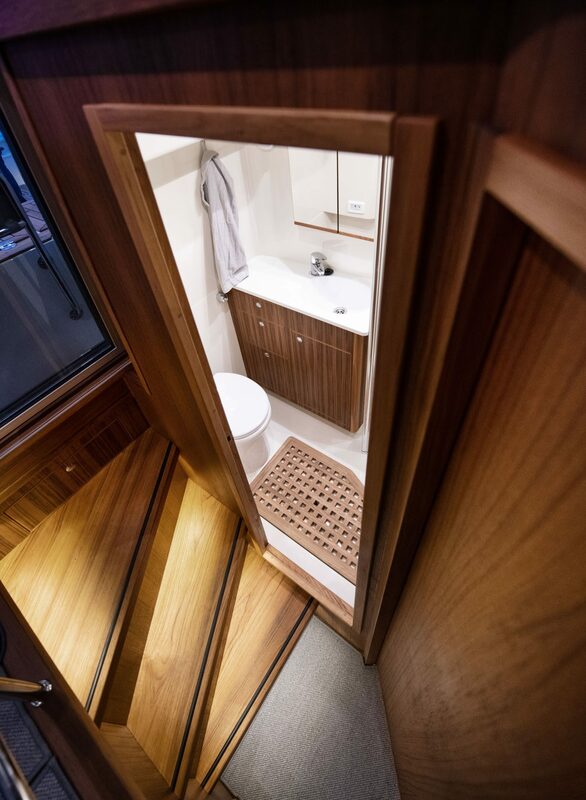 Fridge box with thermostat in "Bridgedeck box"